The Ninth Conference of Parties to the Convention for the Protection, Management and Development of the Marine and Coastal Environment for the WIO region (Nairobi Convention) held in Mombasa, Kenya in August 2018, requested the Secretariat, in collaboration and cooperation WIOMSA and other partners, to establish a marine litter regional technical working group in the Western Indian Ocean region. Several other related decisions were adopted under ‘Decision CP.9/3. Management of marine litter and municipal wastewater in the Western Indian Ocean’ including on the development of a regional strategy or action plan or both on the management of marine litter and microplastic and capacity-building programmes on marine litter and microplastics, including microbeads, for a harmonized approach to data generation, monitoring and reporting; conducting outreach and public awareness activities on the impact of municipal waste and marine litter on marine species and their habitats; and encouraging countries to discourage plastic microbeads, take measures within their national capacities to consider phasing out their use in the region and promote the exchange of expertise, best practice and lessons learned. In response to the ‘Decision CP.9/3. Management of marine litter and municipal wastewater in the Western Indian Ocean’, especially in respect to establishing a marine litter regional technical working group, WIOMSA and the Nairobi Convention Secretariat in collaboration with other partners working on marine litter and microplastics, is setting up a Group of Experts on Marine Litters and Microplastics. The main objective of the Group is provide a forum for sharing and exchange of information; providing policy guidance and advice to the Nairobi Convention and other regional frameworks; and synthesizing information on the topic from different sources and produce peer-reviewed publications and other products. The Group’s work is planned to be completed in three years or less. 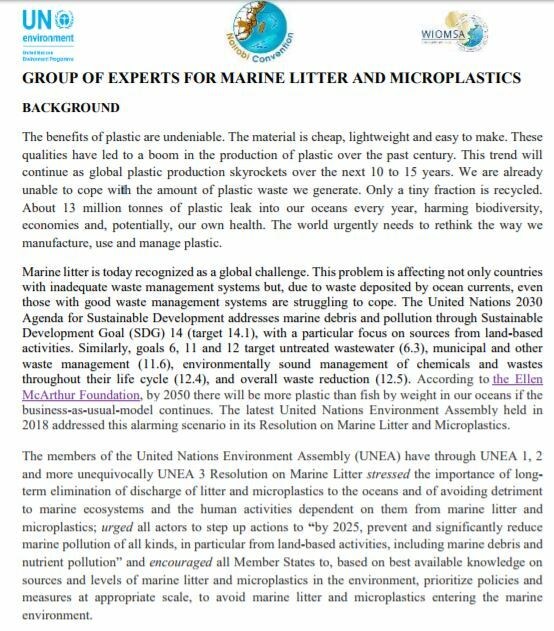 As part of the implementation of this initiative, the Nairobi Convention in collaboration with the Western Indian Ocean Marine Science Association (WIOMSA) is calling for expressions of interest from regional experts working on different aspects of marine litter and microplastics, interested in being considered for the Group’s membership. 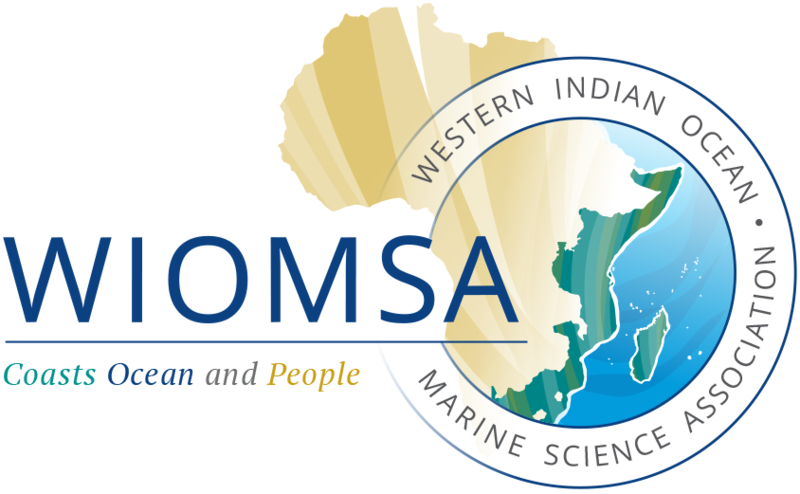 Anyone interested in being a member is requested to submit a copy of their CV (maximum 2 pages highlighting their work in marine litter and microplastics) by email to secretary@wiomsa.org, on or before 31 March 2019. For more information, please find the terms of references of the Group.